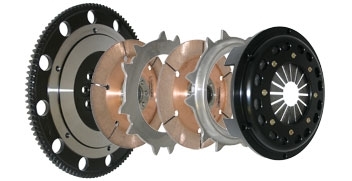 Competition Clutch Twin Disc kits include a 4140 Forged Steel Flywheel for added durability in extreme racing conditions. All Competition Clutch Kits are plug and play with no additional modifications required in the transmission. Fits all 5 speed Evo's.